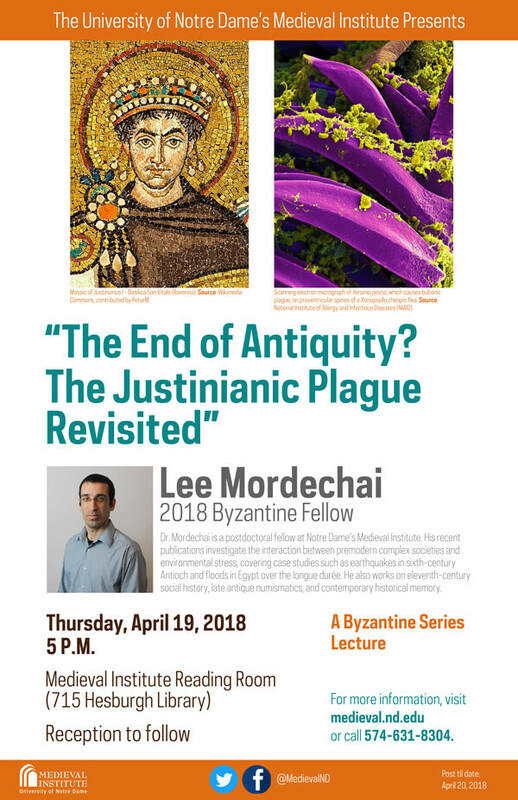 Dr. Mordechai is a postdoctoral fellow at Notre Dame’s Medieval Institute. His recent publications investigate the interaction between premodern complex societies and environmental stress, covering case studies such as earthquakes in sixth-century Antioch and floods in Egypt over the longue durée. He also works on eleventh-century social history, late antique numismatics, and contemporary historical memory.